Not only are these some of the coolest items we offer, they're also fabulously fruity and just plain fun to share with friends. 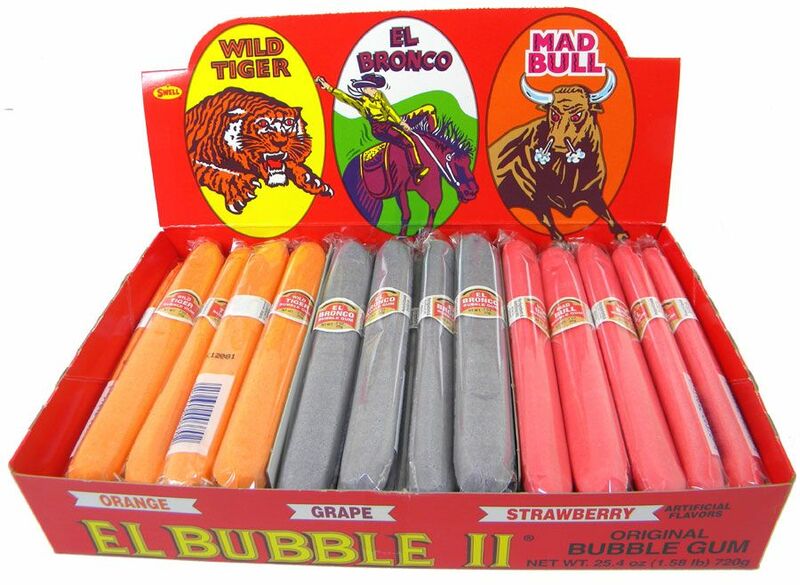 Each flavor bears its own unique name: Pink bubble gum cigars bring strawberry flavor and a 'Mad Bull' wrapper; Grape bubblegum cigars honor 'El Bronco'; and Orange counts its mascot as none other than the 'Wild Tiger'. 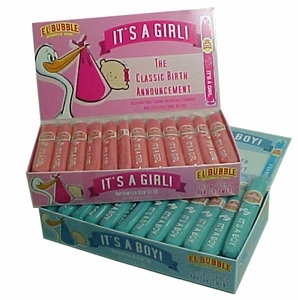 While these do soften up as you chew them, they start out as a firm bubblegum. 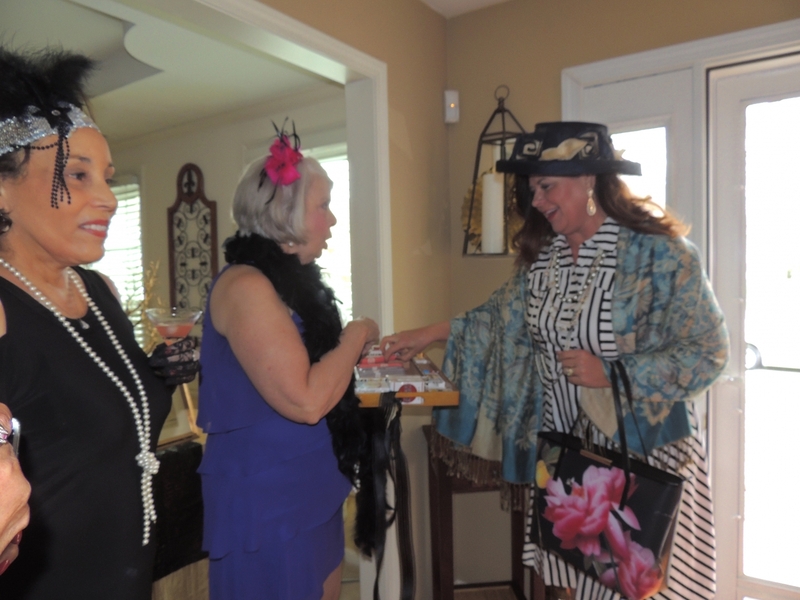 Individually wrapped for freshness and easy sharing! 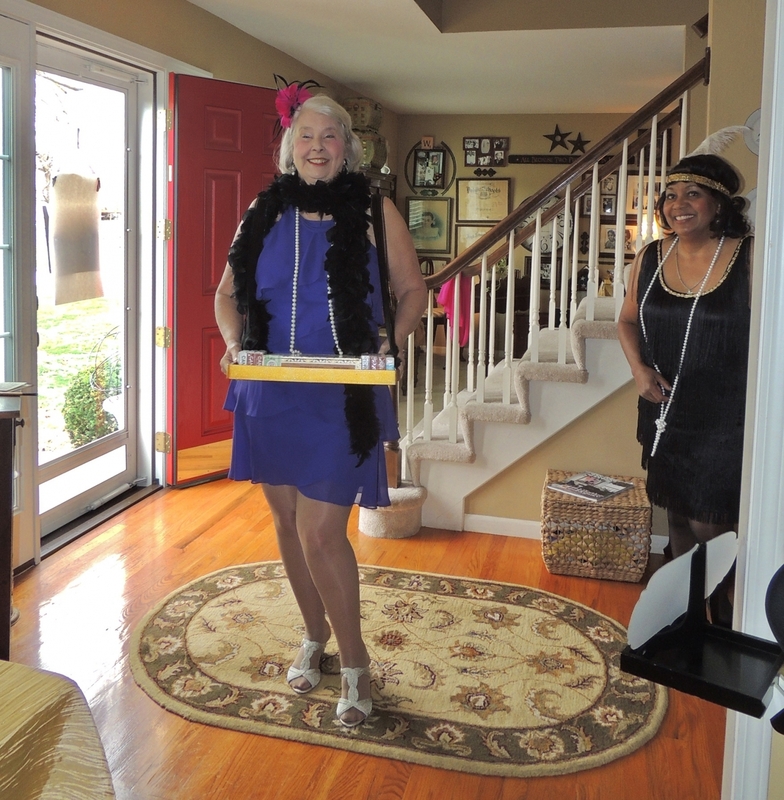 I remember what fun we had as children with bubble gum cigars, so when I started planning my Mom�€™s 89th Birthday Luncheon set in the 1920s...no brainer!!! 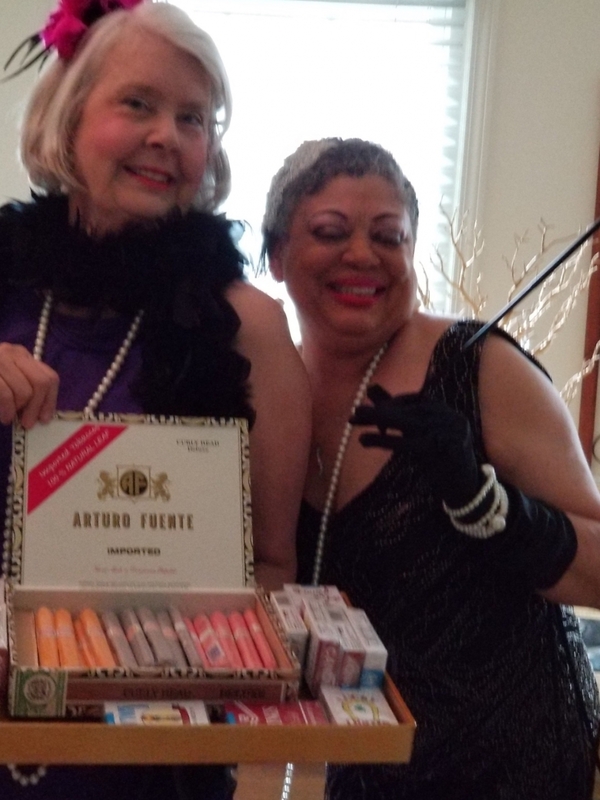 I transferred them into an old Alberto Fuente cigar box and got a friend to act as the �€œcigarette girl�€ hawking these fun cigars as well as the candy cigarettes from Blair Candy Co. Everyone had so much fun, and they�€™re just as great as I remember!!! 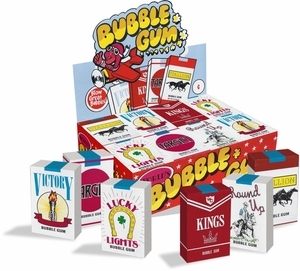 (When cigar bars were a big thing back in the �€œconspicuous consumption�€ �€˜80s, I smoked a real cigar and lamented how awful they were in comparison to the bubble gum kind!) 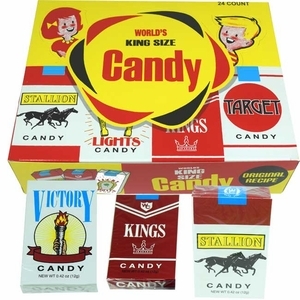 If you�€™re looking to add a nostalgic touch, these are definitely a great way to do it without harmful tar and nicotine!!! ConsNone that I know of! finallly a legit bubblegum cigar. iv'e waited 15 years and here they are.